Our guide to Boston will help you find the best green spots in Boston Massachusetts. Boston is a giant of a small city: big on opinion, beauty, and heart. Brimming with New England pride, but permeated with a down-to-earth attitude, it's a city that defies stereotype because it consists of many different layers. Boston is compact, culturally rich, and can largely be explored on foot. There are tons of great green spots in the city of Boston, our city guide will help you find the best green spots. You may have a hard time deciding what to do in Boston, but we make your decision easy. 1 Orchard Park St, (617) 541-5466 - Giddy-Up Grill is a green restaurant located in Boston MA. 1 Seaport Ln, (617) 385-4000 - Aura at the Seaport Hotel is a green restaurant located in Boston MA. 10 Hanover St, (617) 720-0052 - Taranta is a green restaurant located in Boston MA. 141 Dorchester Ave, (617) 426-1115 - Sophia's Cafe is a green restaurant located in Boston MA. 148 Brookline Ave, (617) 236-4950 - Chipotle Mexican Grill is a green restaurant located in Boston MA. 161 Berkeley St, (617) 542-2255 - Grill 23 & Bar is a green restaurant located in Boston MA. 255 State St, (617) 720-1300 - Sel de la Terre is a green restaurant located in Boston MA. 27 School St, (617) 357-9727 - Boloco is a green restaurant located in Boston MA. 3 Appleton St, (617) 426-1790 - Icarus is a green restaurant located in Boston MA. 315 Shawmut Ave, (617) 232-2015 - On The Park is a green restaurant located in Boston MA. 334 Massachusetts Ave, (617) 247-0047 - Wheeler's Cafe is a green restaurant located in Boston MA. 69 Prince St, (857) 362-7288 - Grezzo is a green restaurant located in Boston MA. 82 Water St, (617) 357-9013 - Boloco is a green restaurant located in Boston MA. 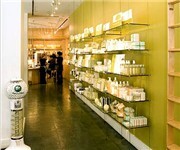 9 Park St, (617) 742-9991 - No. 9 Park is a green restaurant located in Boston MA. 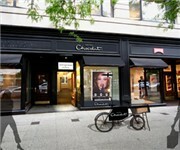 141 Newbury St, (617) 391-0513 - Hotel Chocolat is a green food / grocery store located in Boston MA. 1421 Washington St, (617) 266-9911 - Foodie's Markets are family-owned and proud to offer a selection unsurpassed by even the biggest supermarkets - at competitive prices! 99 Savin Hill Ave, (617) 379-1613 - Savin Hill Supply is a green food / grocery store located in Boston MA. 20 Belgrade Ave, (800) 234-5678 - Roslindale Farmers Market is a green farmers market located in Boston MA. Blue Hill Ave & Dudley St, (800) 234-5678 - Dudley Town Common Farmers Market is a green farmers market located in Boston MA. Boylston St & Dartmouth St, (617) 266-4824 - Copley Square Farmers Market is a green farmers market located in Boston MA. Huntington Ave & Tremont St, (800) 234-5678 - Mission Hill Farmers Market is a green farmers market located in Boston MA. 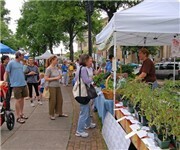 Main St & Austin St, (800) 234-5678 - Charlestown Farmers Market is a green farmers market located in Boston MA. 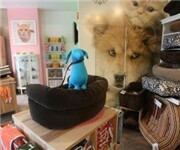 1180 Washington St, (617) 670-1200 - Pet boutique offering organic and non-organic treats for your furry friends. There are plenty more green spots in Boston. See all green spots in Boston Massachusetts.